United for the revolution! Holy crap this poster is awesome! 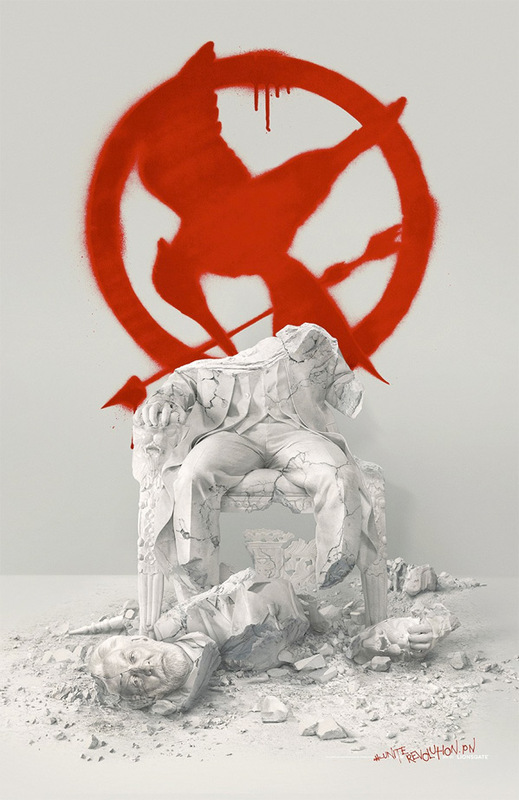 Lionsgate has revealed another new teaser poster (here's the first one) for The Hunger Games: Mockingjay - Part 2, the epic conclusion in the Hunger Games franchise. It has all been leading to this, and hopefully, they've gone all out in making sure the revolution takes place–in the movie, I mean. I love the imagery here, I love the spray paint Mockingjay symbol behind the head, bring on the revolution of Panem and destruction of President Snow (played by Donald Sutherland). It's time to unite! Seriously, great work here. The countdown is on until November. Thank God it'll all be over soon. The first two were pretty great but that last one was a disaster. I've seen it twice now and can still remember nothing about the plot. Beheaded, what happens to Finnick!